(CNN) - After a night of torrential rain, devastating wind and dangerous storm surges, the damage that Florence, now a tropical storm, brought to the Carolina coast is only now starting to fully reveal itself. Here's how things look so far. A downed tree blocks a street in Wilmington after being uprooted by Florence's strong winds. 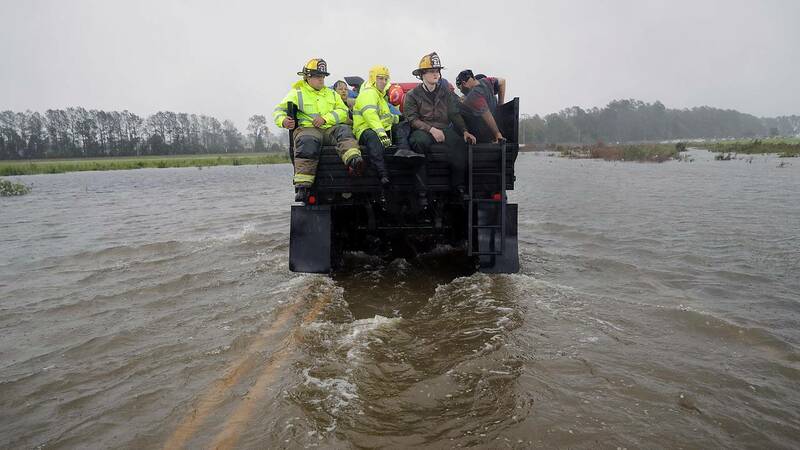 Earlier Friday morning, the New Bern Police Department pushed out a tweet showing water rescues in the city. Scores of people still await rescue there. A mother and her infant died in Wilmington when a tree fell during the storm. The father was transported to a hospital. Volunteers rescue residents and their pets from their flooded homes in New Bern. Sign up here for Tropical Storm Florence emails about the latest on the storm.